When our team at the Advocate Law Firm in Irvine, California, takes on your personal injury case, you can be assured that you have well-networked, seasoned attorneys on your side. Licensed to practice since 1973, attorney Kenneth Satin has helped tens of thousands of people navigate the legal system. Our legal manager has been serving victims of negligence since 1982. Combined, these decades of experience equate to favorable verdicts and settlements for our clients. Our law firm team knows exactly what to look for when handling issues such as motor vehicle accidents, premises liability, wrongful death and work injuries. During your free initial consultation, we assess whether or not you have a case. When we accept a case, we dedicate every resource at our disposal to proving the defendant’s negligence, outlining your damages and securing compensation. 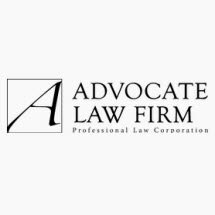 At the Advocate Law Firm, we integrate with physicians, therapists and other professionals throughout Riverside, Los Angeles, San Diego, Orange and San Bernardino counties. This enables us to paint the entire picture of your case, providing hard evidence as to why the defendant should settle or why a jury should award you money. For your convenience, we accept credit cards.